Ronnie O'Sullivan has successfully started the defence of his Betfair World Snooker Championship title with a 10-4 win over Marcus Campbell on the first day of the tournament. Elsewhere there was mixed starts for debutants Jack Lisowski & Michael White in their opening matches. 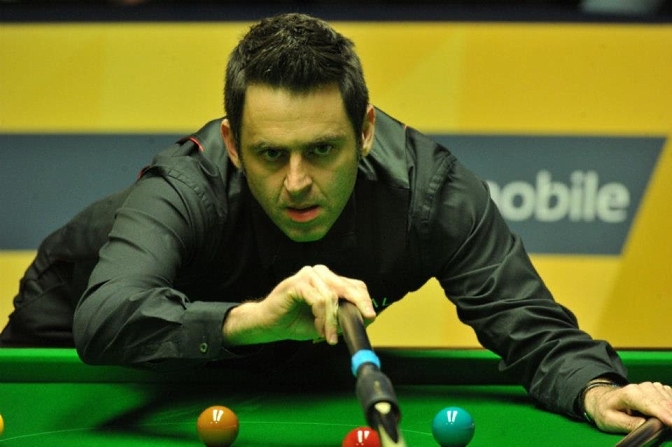 Defending Betfair World Snooker champion Ronnie O'Sullivan has not played a professional match since September, and many were wondering how he would get on at the Crucible, competing against Scotland's Marcus Campbell in the first round on the opening day of the tournament. The four-times world champion looked in fine nick in the first frame, knocking in a 82 on his first scoring visit. Campbell managed to nick the next and had a chance to take the 3rd on the colours but missed the green along the baulk cushion. O'Sullivan then won four of the next five with top runs of 71 and 85 to take a commanding 7-2 lead going in to the final session, Campbell just not being able to clinch the frames when they went scrappy. Wuxi Classic semi-finalist Campbell needed to get off to a good start in the evening to give him hope but the Rocket fired in quick breaks of 102 (his first century of the season) and 90 to take a 9-2 lead. Campbell managed to take the next and the 13th with a break of 53 but O'Sullivan managed to finish the match in the 14th on the colours to see out a 10-4 win. "It was nice to be back here," said O'Sullivan. 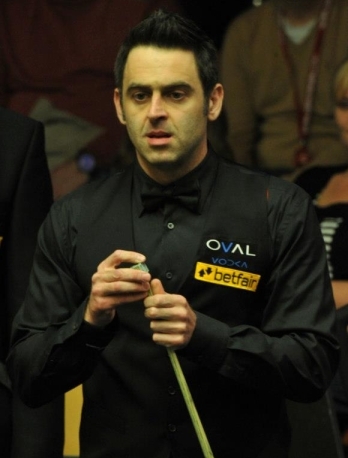 "The journey has been exciting ever since I announced that I was coming back to the Crucible. It has given me something to do. I have spent the last five weeks getting ready and practicing so the journey has been enjoyable, it is like the icing on the cake playing in an event like this." "I was hitting the balls okay," he added. "In general my game was not as slick and sharp as what I would have liked. That is to be expected when you have not played for a year. You lose that tightness, you need to get in there and compete." Welsh Crucible debutant Michael White got off to a dream start against countryman and two-times world champion Mark Williams in their afternoon first session. It was the 21-year-old that got off to the best start before the interval, putting nerves aside and making breaks of 87, 55 and a 67 to go 3-1 up. He then made it 4-1 with the aid of a 57, before a few mistakes started to creep in allowing the more experienced Williams to make top runs of 71 and 54 to level the match at 4-4 before a safety mistake allowed White to nick the frame and take a well deserved 5-4 lead in to tomorrow afternoon's final session. Another debutant Jack Lisowski, will also finish his match tomorrow but he finds himself in a more perilous position as he trails Australian Open champion Barry Hawkins 6-3. After making a cracking break of 82 to take the first frame, Lisowski didn't see much of the table as Dartford's Hawkins made breaks of 59 and 50 on the way to going 3-1 up at the interval. Lisowski once again came quickly out of the blocks and made a fantastic 100 break to narrow the deficit, but Hawkins showed his experience in bags and made top runs of 97, 100 and 66 to eventually see out the session 6-3. Both Lisowski and White have looked comfortable on their debuts at the Crucible today and both will definitely fancy their chances to progress tomorrow. 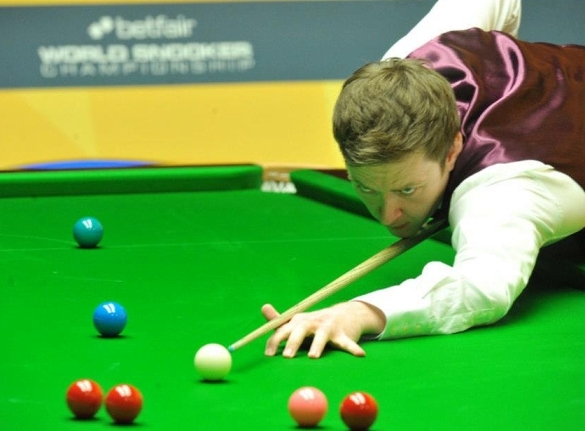 Performance of the day went to season opener Wuxi Classic champion Ricky Walden who since lifting the title in China has been hit and miss and not been at his best. He made breaks of 76, 55 and an amazing 140 total clearance before the interval in his opener against Michael Holt and ultimately finished the session 8-1. All to do for experienced Nottingham pro Holt in their secon session. And lastly it was the turn of 2005 world champion Shaun Murphy to try finish the season on a high note after not being able to lift a trophy since the 2011 Brazilian Masters. He recovered from 2-0 down against Pinner potter Martin Gould to steal a couple of close frames and make 112 & a 80 on the way to finishing the session 5-4. Tomorrow sees the return of four-times world champion John Higgins who takes on UK championship semi-finalist Mark Davis and 2006 winner Graeme Dott faces a tough first round match against 2002 champion Peter Ebdon. Check out Monique Limbos's photos from day one at the Crucible Theatre and follow me on Twitter for updates throughout the championship.